From the very beginning, jazz music has challenged convention and pushed boundaries. Every jazz great through history was engaged in their own search for new boundaries to push, and their legacies became the new directions they mapped for future musicians. It was the case for Charlie Parker, Miles Davis, Ornette Coleman, and today we watch as Joshua Redman and his band take inspiration from their musical mentors and run with it – finding newer dreams, and newer boundaries to push. Now-legendary alto saxophonist Ornette Coleman was particularly known for rejecting the best practices of his day in the interest of playing originally and intuitively. This is one of the principles on which Old and New Dreams (a group made up of Ornette Coleman Band alumni) was founded. As early as the 1950s, Coleman was playing what is now categorized as free jazz. His contributions to jazz were controversial, wave-making, and they ultimately directed the future course of the genre. In famously rejecting the hard distinctions between soloist and ensemble, Coleman was able to create more free-flowing forms, using a song’s melody to guide improvisation and creating new chord structures with each performance. His third album was ambitiously titled The Shape of Jazz to Come (after the insistence of his producer) – in hindsight, a highly fitting title. In the late 50s to early 60s, Coleman had the opportunity to connect with similarly-minded players. 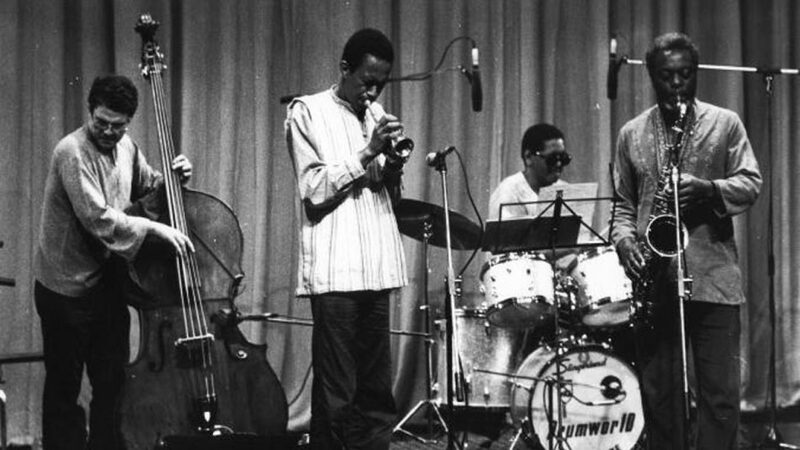 Ed Blackwell, Charlie Haden, and Don Cherry were all members of Coleman’s quartet and shared a desire to do something new. Departing from bebop’s meticulously virtuosic style, their approach to collective improvisation created a category of jazz governed by intuition and a new set of formal rules. In the late 1960s, a tenor sax player named Dewey Redman joined Coleman’s group. Redman had grown up with Coleman in Fort Worth, Texas and the two were even in a high school marching band together. Appearing on seven Coleman releases, Redman was praised for supporting Coleman’s alto sax as well as holding his own solo voice. It was Redman, Blackwell, Haden, and Cherry who would go on to become the historic super group Old and New Dreams. The members of the quartet brought together a mosaic of far-reaching musical traditions, from Redman’s rhythm and blues to Cherry and Blackwell’s “global folk-jazz”. Combined with tight playing and total creative freedom, the group’s eclectic influences made their 1976 debut album a triumphant success. Thanks to groups like Old and New Dreams, jazz has existed since the late 20th century as a genre with virtually no musical limitations. In one century, it has jumped from swing to avant-garde to funk, incorporating countless subgenres and crossovers on the way. Now in a world where seemingly everything new has already been done, how can musicians make an original contribution? 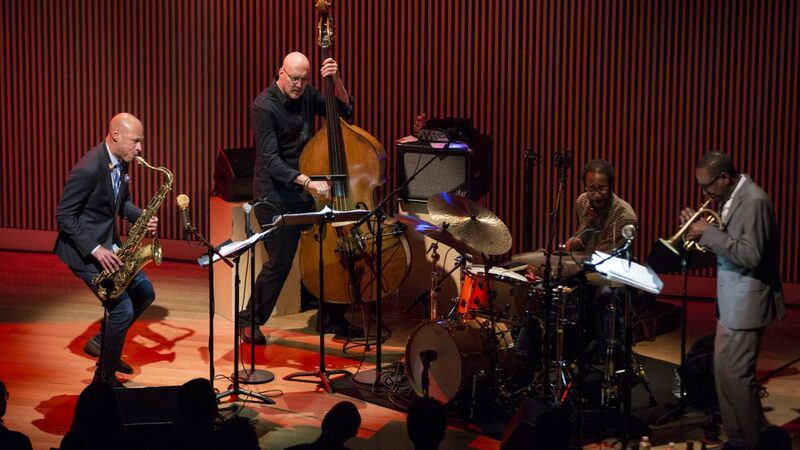 Taking the legacy of Old and New Dreams as inspiration, Joshua Redman, Ron Miles, Scott Colley, and Brian Blade are defining their own approach to collective improvisation and formal freedom. They experiment with free jazz elements, but maintain an “elegant balance between logic and risk”. It is this balance that creates Still Dreaming’s broad appeal. The four members of Still Dreaming have significant musical and personal connections to the members of Old and New Dreams. Joshua Redman is the son of Dewey Redman, Ron Miles’ playing is greatly influence by both Don Cherry and Ornette Coleman, Scott Colley studied with Charlie Haden at Cal Arts, and Brian Blade and Ed Blackwell both bring similar drumming styles influenced by their shared hometown of Louisiana. These parallels make the work all the more intriguing as a broader indication of the trajectory of a genre. Just as free jazz originally arose from dissatisfaction with constraints of bebop (mirroring the social revolutions of the 60s), the large strides artist like Joshua Redman are making today can be seen as a reaction to free jazz. Still Dreaming shows a trend towards a type of jazz that is sophisticated and intelligent, but still familiar and welcoming – a difficult balance for any artist to achieve. Where Old and New Dreams pushed the bounds of what jazz could be in the 60s and 70s with “elastic, ecstatic and volatile group cohesion”, Joshua Redman and co. take a more reasoned approach with nevertheless “evident sincerity and total commitment” to the group that inspired the project. Even where Still Dreaming departs from its predecessor’s work, the album’s stand-alone artistic merit is obvious. Just like that, Still Dreaming answers jazz’s omnipresent challenge to “do something new”. Coleman collapsed the distinction between ensemble and soloist in his search for formal freedom. Now, Still Dreaming’s members work toward the place where complete freedom and the guidance offered by formal boundaries intersect. In other words, Redman and co. are standing on the shoulders of giants, creating their own legacy for future generations of jazz musicians to uncover. Taryn Plater is in her third year working as Marketing & Communications Assistant at the Chan Centre as part of the UBC Work Learn program. She is pursuing a double major in music and linguistics at UBC, as well as a Master of Management, and is passionate about expanding the role of the performing arts in our society.